We have already discussed some of the favorite American slots that are respected and considered as classics. In this article, we will continue to talk about this topic and take a look at another three America’s most popular slots. This is a truly legendary slot by Bally casino software manufacturer. Casino lovers got acquainted with Blaxing Sevens as early as in the 70s in the last century. 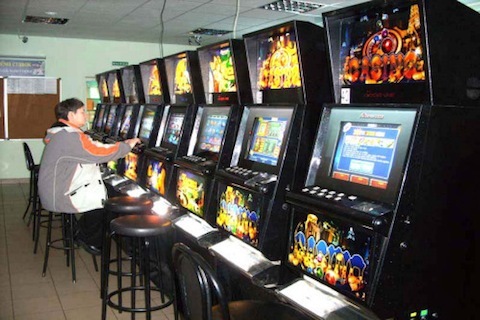 Later on, the slot has been redeveloped and upgraded several times, and can be found at some casinos up to today. Blazing Sevens has a progressive jackpot that starts with one thousand and is growing with every bet. You stand a chance of winning a progressive jackpot, only if you bet three coins. It is yet another legendary slot manufactured by IGT. This slot is an absolute must for any respected American casino. This model was developed by Anchor Games company that was then acquired by IGT. The developers bought the rights to use the wheel of fortune image that became widely recognized through a very popular TV show. Of course, throughout its long history, Wheel of Fortune slot has been presented to the public in many images and versions. The original version stays the most loved and popular among players, though. WMS software manufacturer hit the bull’s eye when it decided to produce the first slot dedicated to the table game called Monopoly. Nowadays, this slot comes in lots of variations, including models with three or five reels, as well as loads of exciting and unique functions.